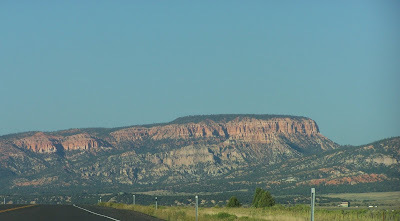 This was on the highway heading north from Flagstaff to Page. Check out the rocky passes. 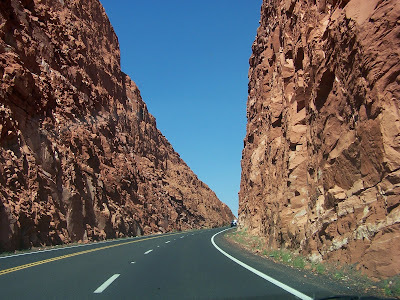 Mapquest routed us near St. George's Utah, and through Kanab. 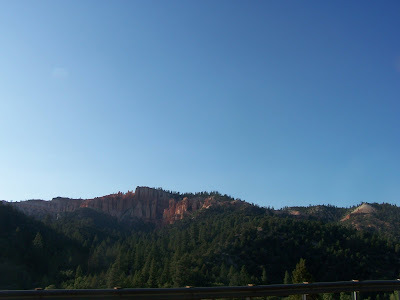 Then through Zion National Park -- the panoramic views were much more impressive than my camera could capture. Wait!? Have we returned to Sedona so soon? No, this may be a red rock canyon, but it is the red rocks of Bryce Canyon, Utah.